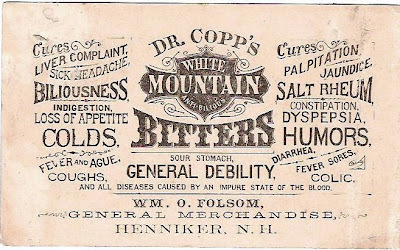 A cure-all bitters label from the late 1800s. Wikipedia cc. Well, "being" bitter is not the kind of bitter I’m going to talk about here, although I have been accused of that mood on more than one occasion! No, I want to talk to you about Bitters, that drop or two of mysterious liquid you put in cocktails, and the single bottle lasts you forever. Bitters is a botanically infused alcoholic beverage. 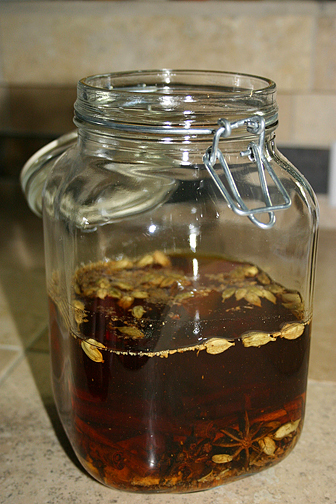 The botanicals give a bitter or bittersweet flavour to the base alcohol. The word "bitters" derives from the fact that it does not contain any sweetening despite being strongly flavored (and alcoholic). Flavourings can include roots of many kinds, herbs, spices and even citrus peels, among assorted other botanicals. 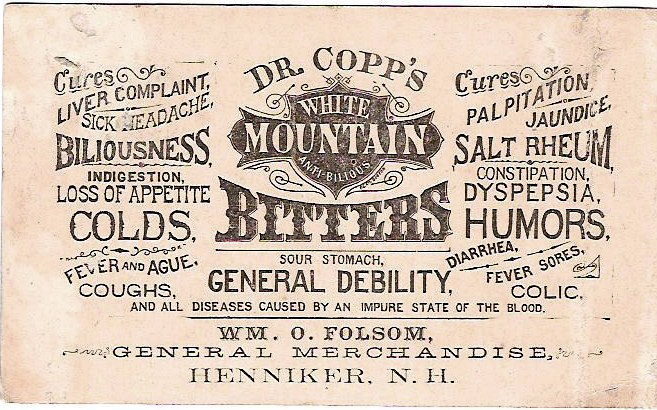 Throughout the 1800s many bitters were sold as cure-all tonics. One wouldn’t doubt a person would feel better after drinking them. Usually the alcohol content was (and still is) 40% or more. Nowadays, more truthfully, they are sold as “digestifs,” and are most commonly used for flavouring cocktails. 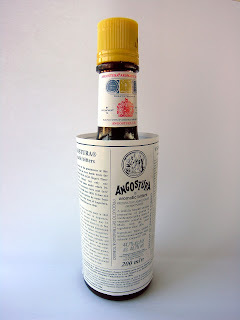 Angostura bitters, certainly the best known, does not contain angostura bark, but rather is named for the town in Venezuela which it was first introduced. In the United Kingdom, Angostura bitters are not classified as an alcoholic beverage, and can be purchased by people of any age. This I find a bit odd, as it contains 44.7% alc/vol. In Scotland, bitters were traditionally drunk before meals, especially breakfast “for the purpose of strenthening the stomache, and by that means invigorating the general health.” Any kind of spirit could be used and sometimes wine or ale. This is "Hess House" bitters ageing. Finely chop the gentian root and orange peel (free of pith). Place in mortar with seeds, cloves, cinnamon and chamomile flowers. Bruise all together, place in an earthenware jar, pour in the whisky and seal. Leave for ten days, then strain and bottle. That’s as easy as it is to make this bitters. But remember: garbage in, garbage out. Don’t buy the cheapest bottle of whiskey and expect a miracle to happen. I’m going to make a half recipe this weekend. I’m not that much of a whiskey fan, except for Irish which I doubt would work very well in this recipe, so half will last me a good long time. I was looking up info on a book and I stumbled across your site and this great recipe from the book I was looking up ("A Country Cup"). So, it's been a few years since you posted this, I'm curious to know how it turned out? Hi Brad. If I remember correctly (it's been 3 years) it turned out well. I don't remember the exact taste, but I know it wasn't a dud! But make a half recipe, like I did. A little goes a long way!